New York/London: As we enter the New Year, PwC's economists have once again peered into the crystal ball to make their top five predictions for 2015. 1. US economic growth expected to be the fastest for a decade: US unemployment has fallen during 2014 to below 6%, and PwC expects this, combined with lower oil prices, to contribute to rising household consumption. In main scenario we PwC is projecting the US economy to grow by more than 3% in 2015, the fastest growth rate since 2005. In line with this, the research firm expects the US to contribute around 3% of global GDP growth in 2015 (see Figure 1), its largest contribution in a single year since before the financial crisis. 2. Economic growth in China projected to be the slowest since 1990: PwC still expects China to make the biggest contribution to global growth in 2015. However, its projected growth rate of 7.2% would be its slowest since 1990 and its high debt levels pose some downside risks to that main scenario. • growth is expected to be sluggish in Brazil where our main scenario projection is for the economy to grow by only around 1%. Taken together, PwC expects the BRICs' contribution to global growth to fall for the second year in a row to around 33% in 2015. 3. Low inflation leads to Quantitative Easing in the Eurozone: Economists expect both inflation and growth to remain very low in the Eurozone in 2015. PwC therefore expects the ECB to undertake a quantitative easing programme involving the purchase of government bonds, in an attempt to boost demand and head off deflation. 4. India expected to resume growing at above 6%: After growing at below 6% since 2012, economists think 2015 could be the year that India turns the corner, posting growth of around 7%. In the short-term, low oil prices are likely to increase GDP growth, ease the pressures of India's high current account deficit and help bring down inflation. 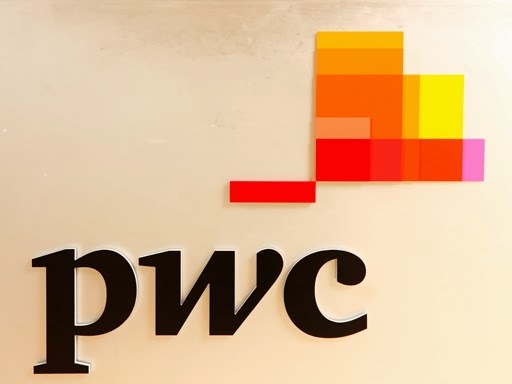 Looking towards the medium-term, PwC thinks that the February 2015 budget could see India take a step towards implementing new structural reforms which will boost the economy. 5. Economic growth in Sub-Saharan Africa (SSA) to outpace global growth for 15th year in a row: PwC also expects the combined GDP of SSA's four largest economies (in purchasing power parity terms) – Nigeria, South Africa, Angola and Ethiopia – to overtake the economic output of Italy in 2015 when measured in constant 2013 international dollars. For businesses, this is a further sign of the potential of SSA as a region in which to invest. Finally, PwC has identified three factors for business to look out for in 2015. First, oil prices have been falling in recent months due to slowing global demand, the US shale oil boom and steady production from OPEC. Says PwC senior economist Richard Boxshall: "Our predictions and projections assume that oil prices will average between $60-70 over the course of 2015 and finish the year at around $80. However, due to the highly unpredictable nature of oil prices, businesses should plan for different scenarios." Second, a hard landing in China. Says Richard Boxshall: "The Chinese economy clearly has vulnerabilities given its high total debt level – around 250% of GDP – and estimates by Chinese academic researchers that around $6.8 trillion of the investments made since 2009 may have been wasted on creating ghost towns, unused office blocks and mothballed factories. So far the Chinese government appears to have this under control, but the downside risks of a hard landing should not be ignored." And lastly, escalation of geopolitical risks. "An escalation of the geopolitical tensions in Russia and Ukraine and in the Middle East could have a negative influence on business confidence, with consequent implications for global growth," says Richard Boxshall.